Kansas Youth Soccer Moves to New Office! 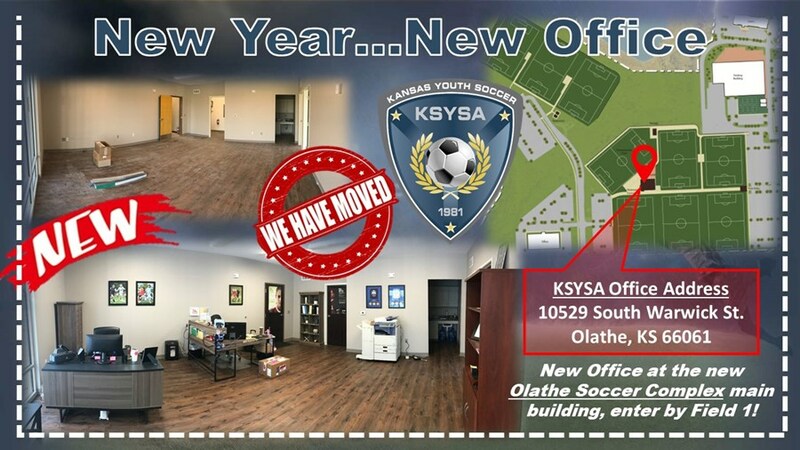 In January 2019 Kansas Youth Soccer moved its offices from the SportsPlex Olathe to its new location at the Olathe Soccer Complex. The main building at the soccer complex will house KSYSA Offices, Heartland Soccer Associations Tournament Operations and a Convenience store that will sell concessions food for visitors. To enter the offices, you need to come from the north west side of the building as our offices are facing field 1 and K-10 highway.